I am not able to build a help file ? That looks to me like you haven't updated your templates. 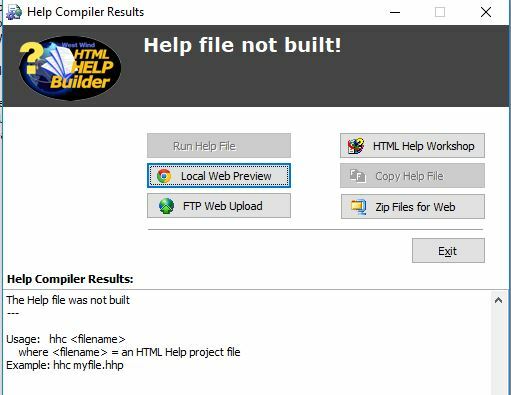 Scriploader.html shouldn't be the latest versions of Help Builder. It's from older versions of Help Builder. I recommend you update you templates. ScriptLoader.html is a page from an old version I believe it should not be in later versions. I noticed that when I ran Check for updates from 5.9.0, it reported that my version was up to date. I think initial releases of Help Builder 5.0 still used the old format before the templates got changed. The key is to always update templates to the latest version (and then fix up layout.wcs to match any customizations you added).